Rantu Moni Deka: A man on a mission! Rantu Moni Deka is a busy man! 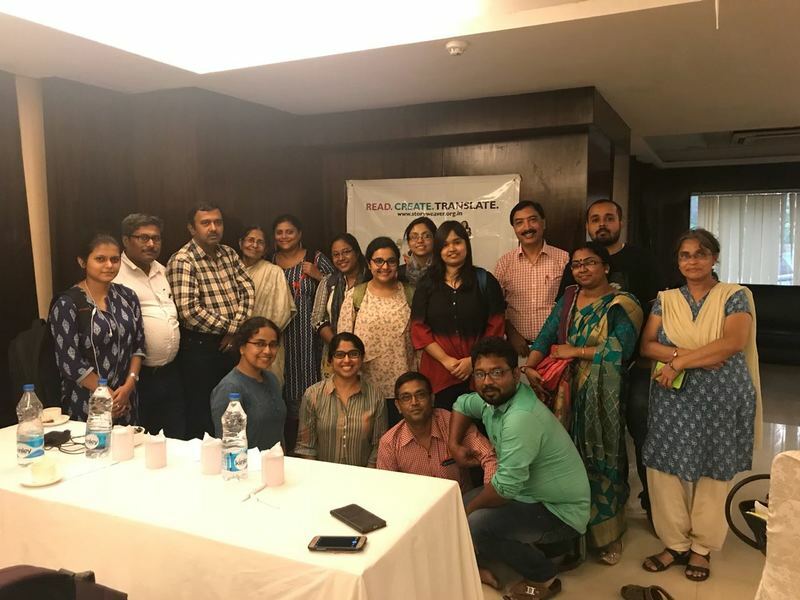 As a Block Resource Person with Pratham in the Kamrup district of Assam, he works closely with schools who are a part of Pratham’s flagship program: Read India. The programme aims to improve the reading, writing and basic arithmetic skills of children between 6-14 years. As a part of Read India, Pratham has initiated 'Reading Week' in 'Lakhon Mein Ek' villages across the country. Block Resource Persons go into villages with the aim of setting up a library with the help of the community. There are 48 schools that come under the two blocks that Rantu is the resource person for. He is personally involved with 6 Read India Schools and 12 library villages. The two time Reading Champion, was inspired to start translating stories for children when he read Rukmini Banerji’s 'दीदी का रंग बिरंगा खज़ाना'. 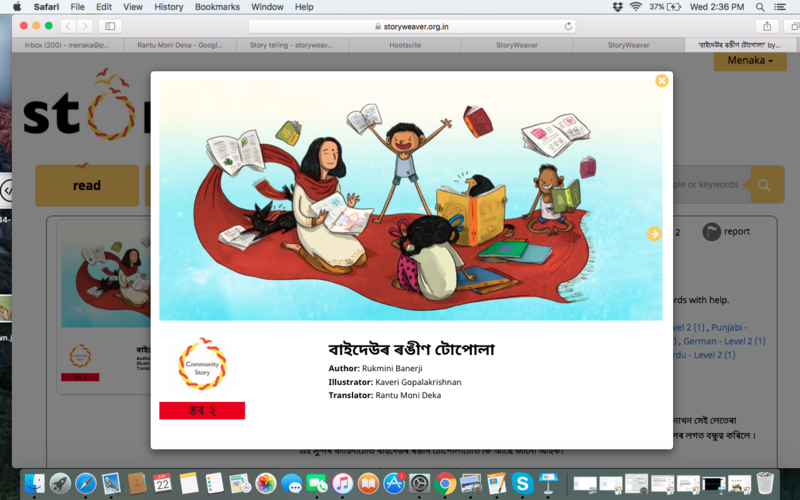 It was the first story he translated to Assamese using StoryWeaver. “The students have access to a library in school, but the books there are meant for much bigger children - high school and college degree. The children of course are not interested in them at all.” shared Rantu. 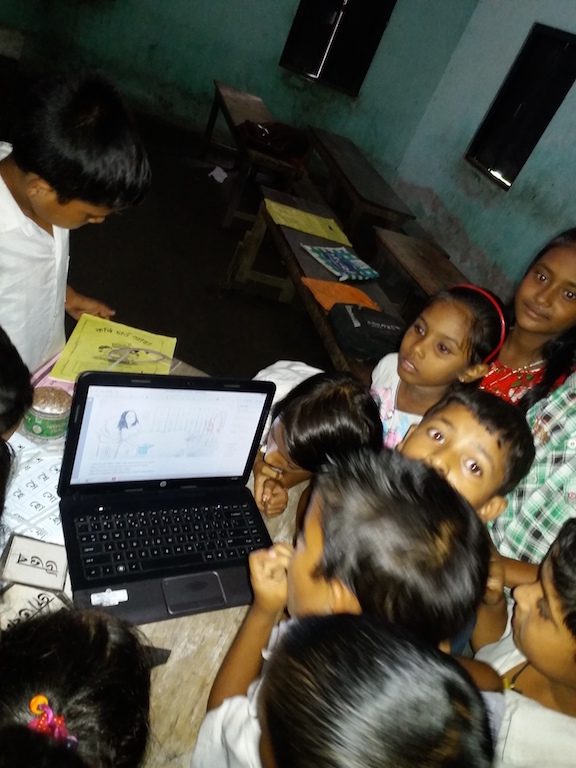 “So when I downloaded my translation to a laptop and read it to them, they just loved it. They were so happy with the colourful pictures and a story that was written just for children.” remembers Rantu. 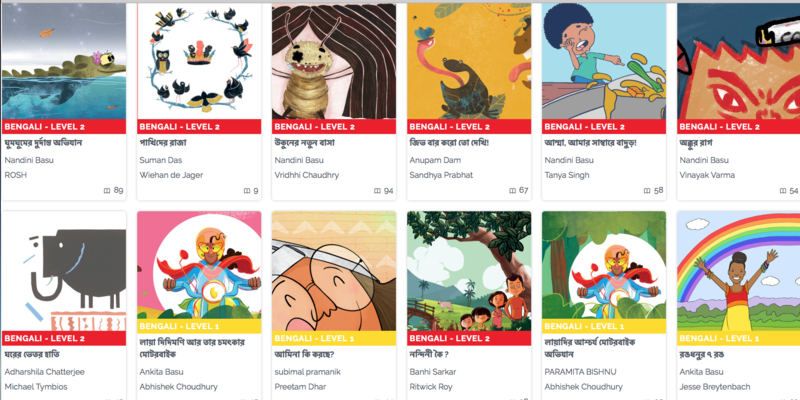 “Seeing how happy the children were when I shared the story with them inspired me to translate more and more stories to Assamese” says Rantu who has now translated 14 stories on StoryWeaver. You can read all of Rantu's translations on StoryWeaver here. 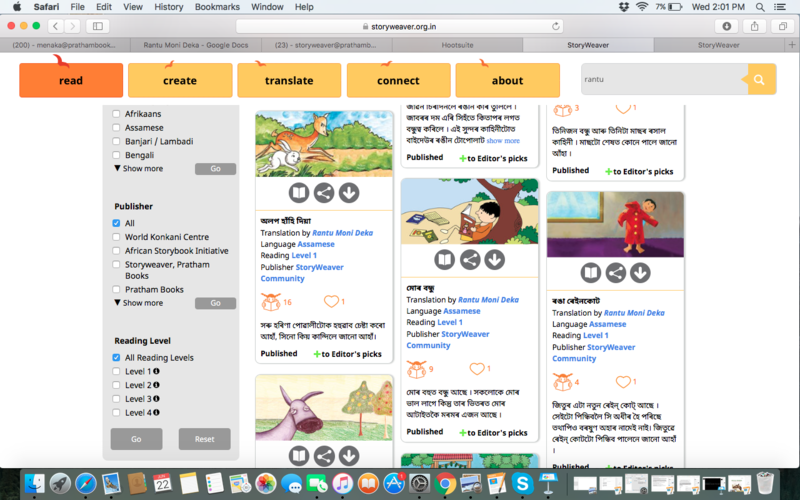 “I have shared the stories and shown the StoryWeaver platform to my colleagues at Pratham and to teachers at the schools.” says Rantu who wants to encourage more of his colleagues to use the site. Rantu has conducted reading sessions with children and teachers in almost all the schools that he works with. Also on his to-do list is creating a simple reading App. We are so impressed by Rantu’s passion and enthusiasm for helping more children read joyful books in a language they are fluent in. We’ll keep you posted with more news from Rantu about his translations and reading app. Do you work with children? Would you like to help translate stories to languages they are fluent in? 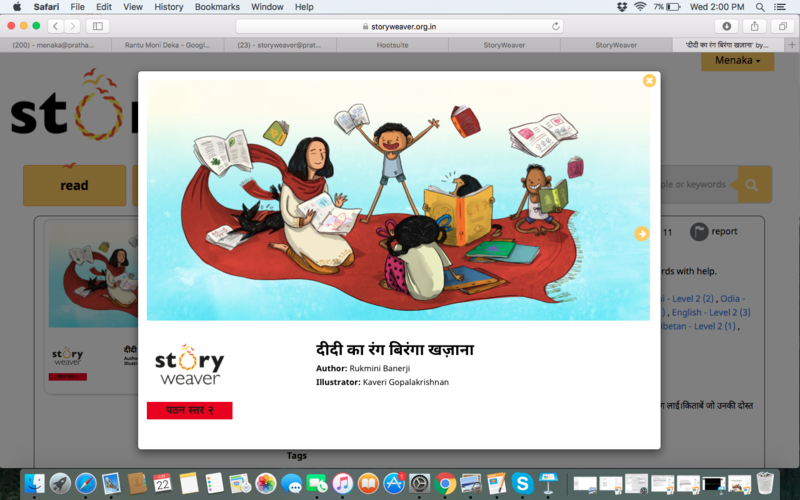 Do you know someone who is using StoryWeaver to translate or share stories with underserved children? Write to storyweaver@prathambooks.org and tell us.